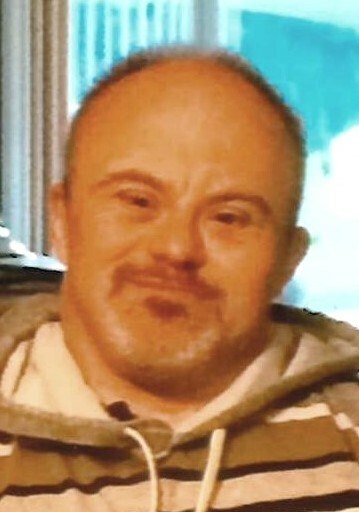 John David Spens, 49, of Marysville, died Tuesday, November 6, 2018. He was born September 4, 1969 in Mt. Clemens to Rosemary and the late Frederick Spens. John graduated from the Woodland Developmental Center and was employed by Community Enterprises. He was a charter member of the All Saints Knights of Columbus Council 10501 in Memphis. He enjoyed family time, rock and roll, and teasing his brothers and sisters. He is survived by his mother, Rosemary; four brothers, James (Patricia) Spens, Michael, Kelvin, and Charles Spens; three sisters, JoAnn Jolliffe, Linda (David) Boike and Fran (Robert) Fowler; and many nieces, nephews, and cousins. He was preceded in death by his brother, Donald. Visitation will be 5-8 p.m. Friday in Marysville Funeral Home. A Rosary will be recited at 7:00 pm. John will lie in state from 10:30 a.m. until the time of the Funeral Mass at 11:00 a.m. on Saturday, November 10, 2018 in St. Christopher Catholic Church. The Reverend James Arwady will officiate. Memorial contributions may be made to Woodland Developmental Center or Community Enterprises of St. Clair County.